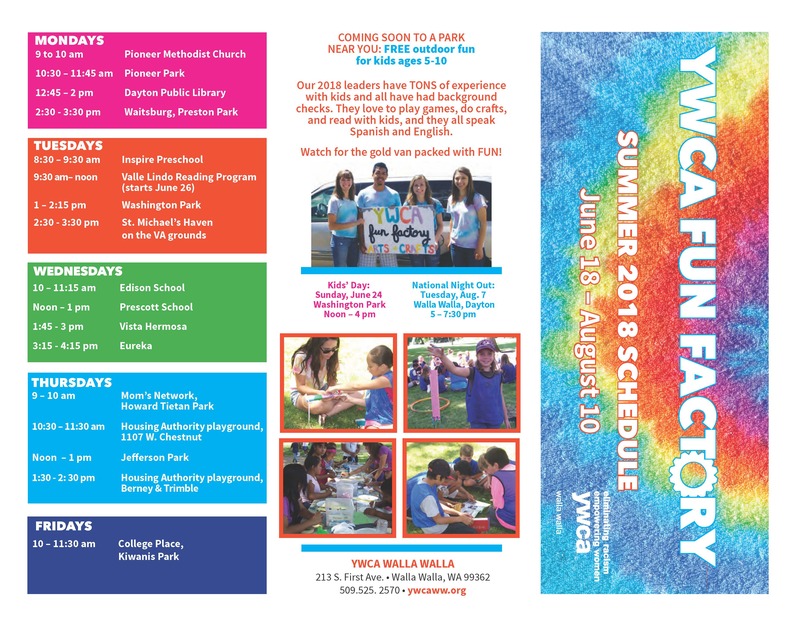 The Fun Factory is a mobile summer recreation program that visits neighborhoods and communities throughout the Walla Walla Valley. 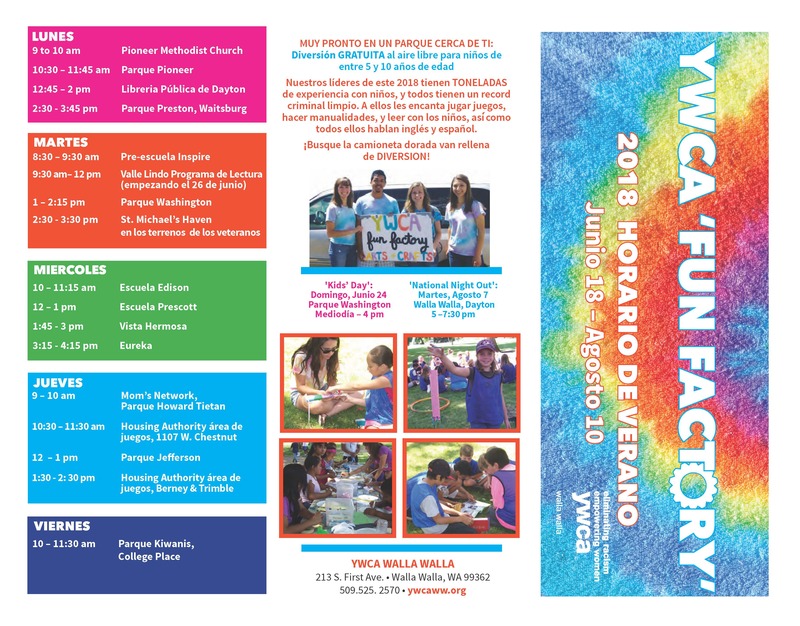 During the week, the Fun Factory brings free outdoor fun, crafts, games and other great activities to children ages 5-10. Just look for the gold Fun Factory van and the Fun Factory leaders in their bright tie-dye shirts. We’re ready to roll as soon as school is out! Look for us at a park near you! To contact the Fun Factory, please call our main office at (509) 525-2570.